When I heard Amber was having a Kate Spade inspired wedding day, I was already looking forward to some unique decor! 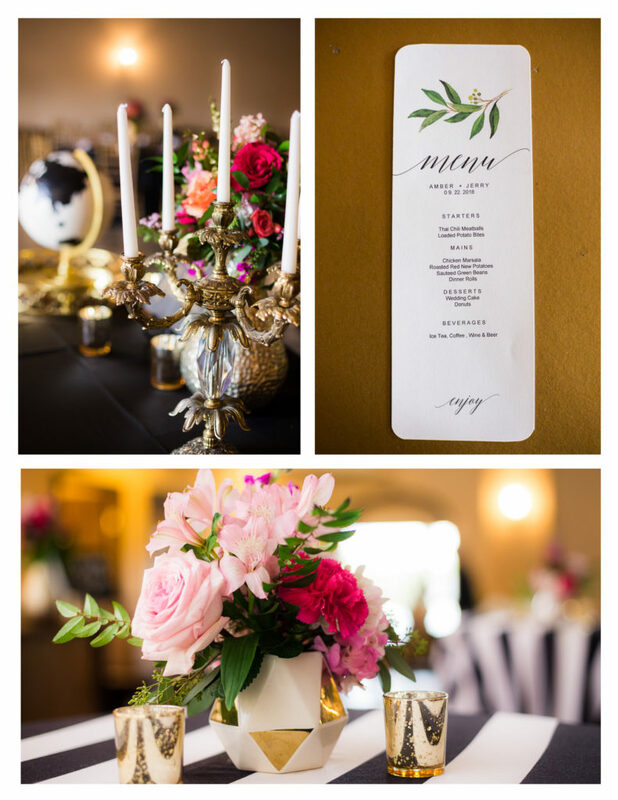 As soon as I walked into their reception, I was in awe of the florals, draping and the chic black and white linens in their cocktail hour area! I have always been a Kate Spade fan, so anything Kate Spade inspired has my attention. I always loved her simple, sleek yet feminine brand. I often try to model that in my own brand. The Kate Spade brand brings color and class together! 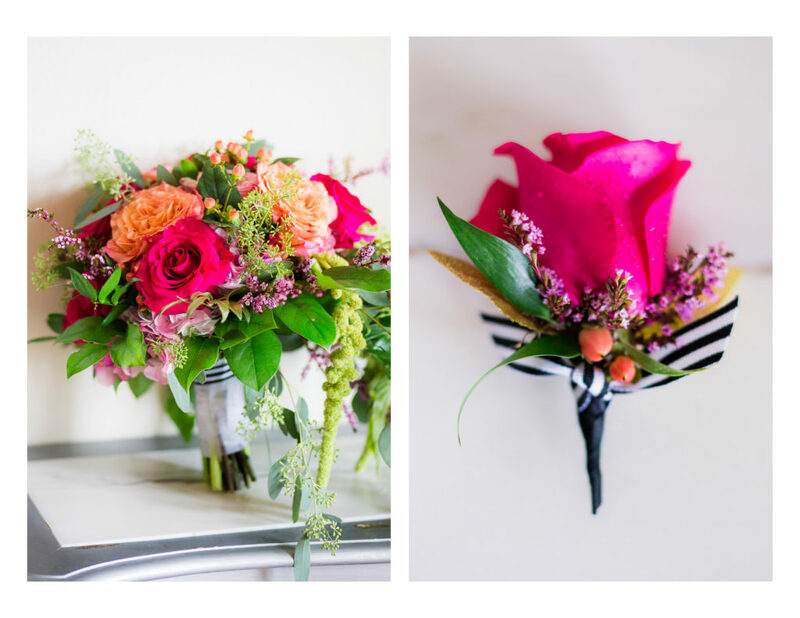 The Kate Spade Inspiration could be seen in the bouquets and boutonnieres, as well as in Bridesmaid dresses, etc. I usually don’t pay too much attention to boutonnieres, but I thought this one was my favorite! 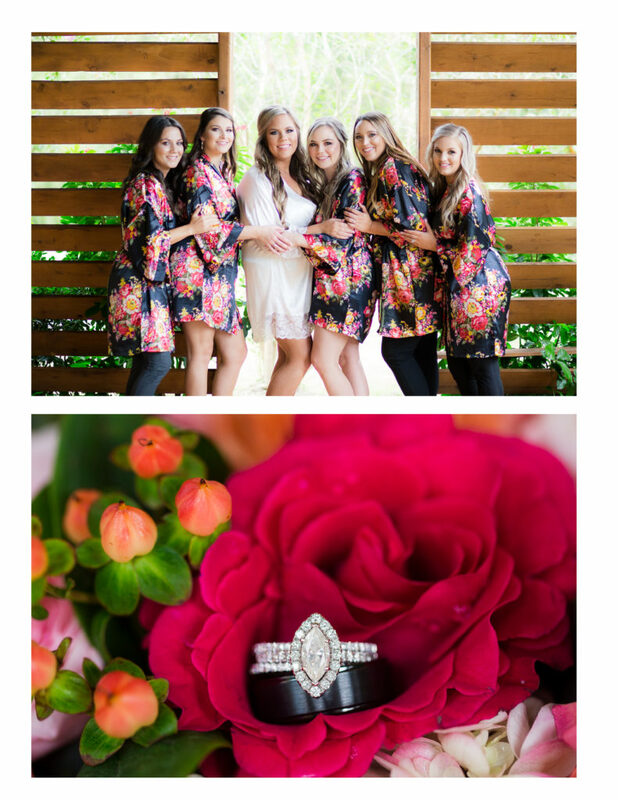 Amber’s Bridesmaids were her sister, sister in law, and her very best friends! 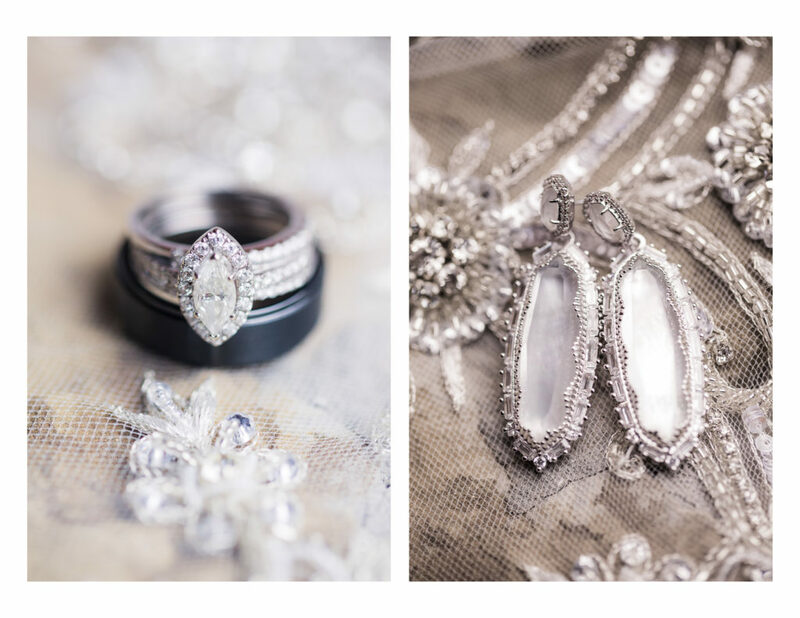 I love a good Kendra Scott earring on wedding day! 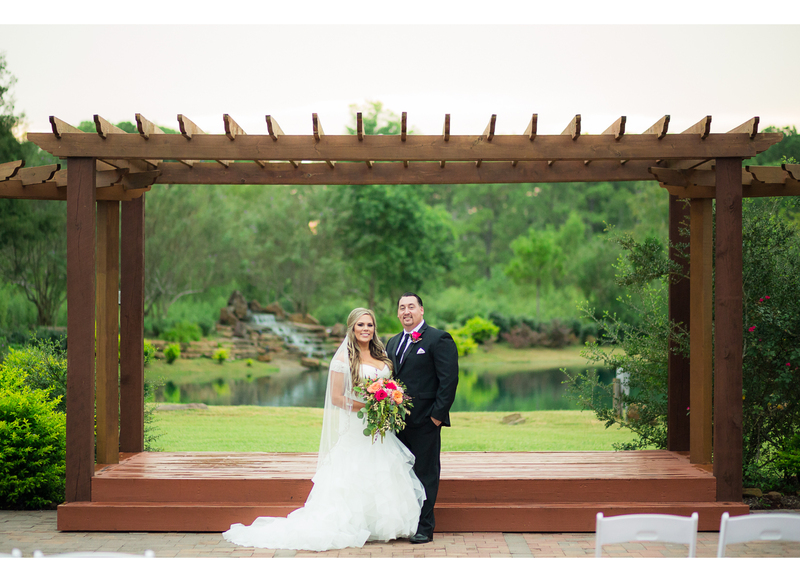 Amber and Jerry were married in late September at Tuscan Courtyard, a wedding venue south of Houston in Dickinson,TX. The venue has a very Tuscany and Italian feel. During the Fall in Houston, also known as hurricane season, you have cooler temperatures but also have to worry about rain. There was rain almost every day this September. Amber & Jerry were preparing for a downpour on their wedding day, but they just got some rainy drizzle, and we were still able to take some gorgeous outdoor photos during breaks in the rain! I am so grateful. I love how their portraits after ceremony turned out! Amber‘s dress was perfect. It had that pretty laced up corset in the back and fit perfectly. I loved her colorful flowers and long hair to go with the fitted dress. 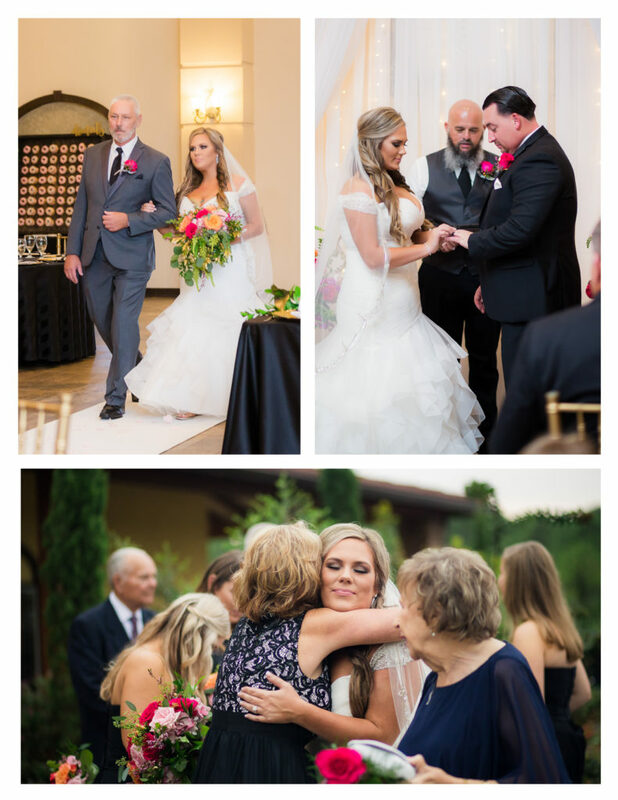 Once Amber was all dressed, we cleared the room so she and Jerry could hold hands around the door and just have a quiet breather together to calm their nerves before walking down the aisle. They didn’t see each other before the ceremony; they just had a first touch. 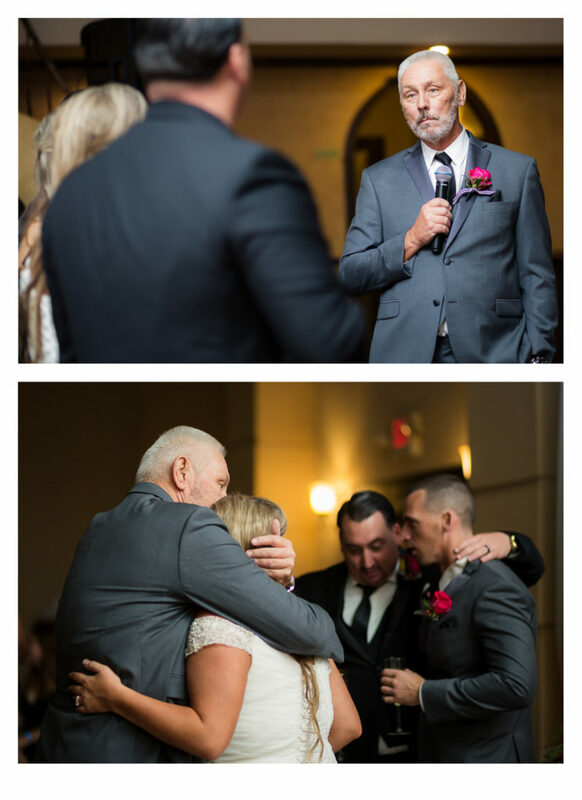 Then, right before walking down the aisle, Amber’s Dad saw her for the first time. 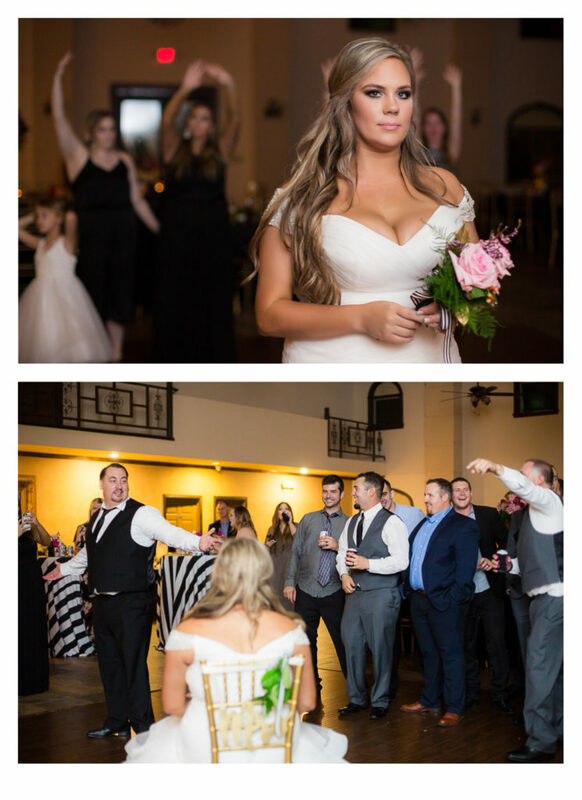 I think she definitely took his breath away! I kinda love when we can have a first look with Dad too. I think it really starts to hit the family members, including the Bride when she is in that dress with her veil on. They did have to have an unexpected indoor ceremony, but the set-up was so beautiful inside that I think it was just perfect! 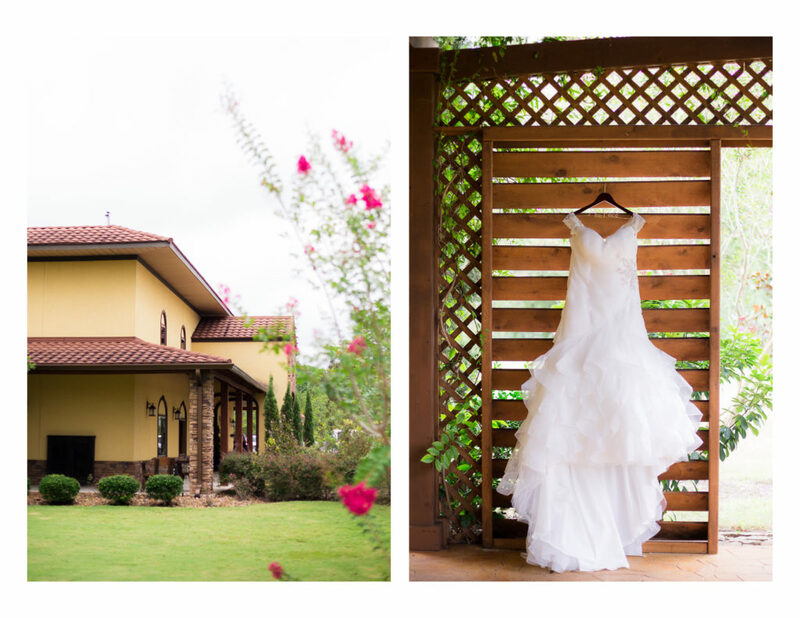 I am sure the guests appreciated being inside away from the Houston humidity too! 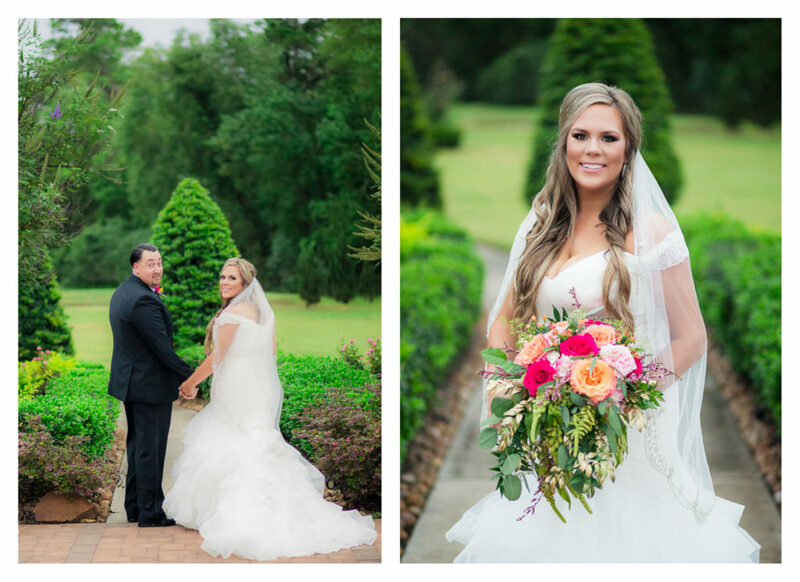 Amber and Jerry had gorgeous white draping that they were married in front of, and it looks so great in photos. If you like the look of draping, but don’t want to drape an entire room, then using just a white draping backdrop behind a cake table can be really gorgeous in photos too! After the ceremony, we were able to take family photos and couple’s portraits outside. 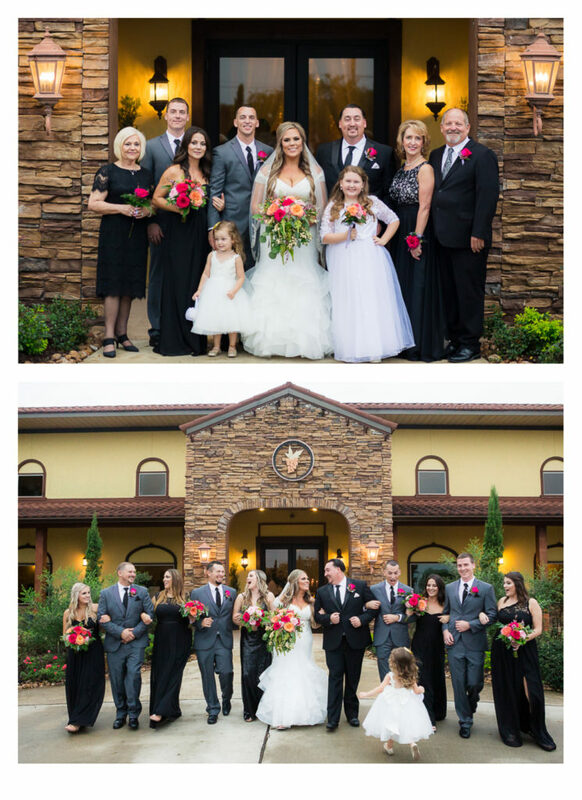 This is the first time I have taken family portraits in front of Tuscan Courtyard, and I love how the front of the venue photographs with the lights on the sides of the family. Then, for my favorite, Bride & Groom portraits! 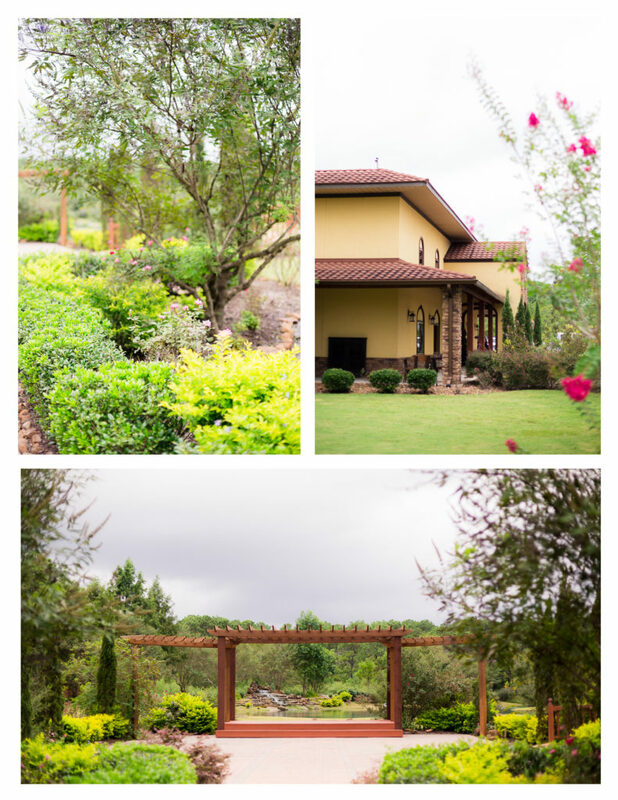 You get just enough glow outside and I love all the landscaping around Tuscan Courtyard. This is the backdrop the couple would have had in an outdoor ceremony. 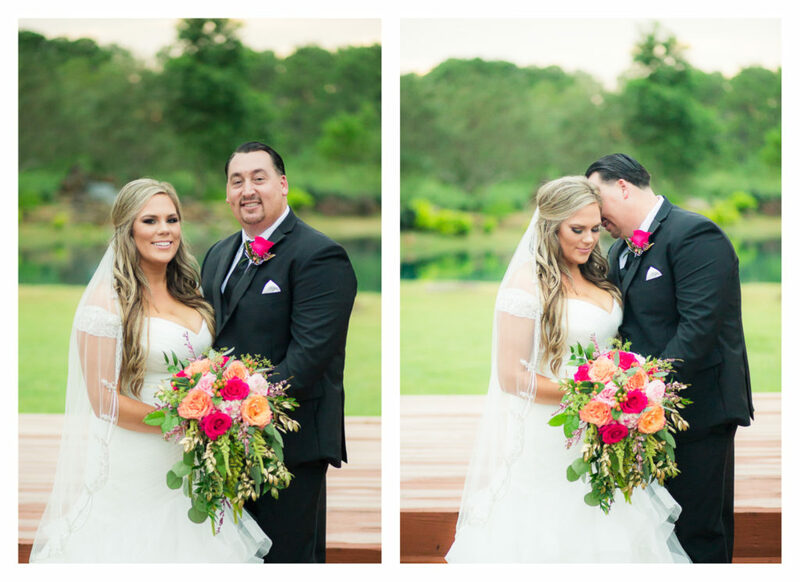 During these photos, Jerry just told Amber how blown away he was by how beautiful she looked coming into the ceremony, and he just felt so lucky that he got to marry her. I mean how sweet is that! 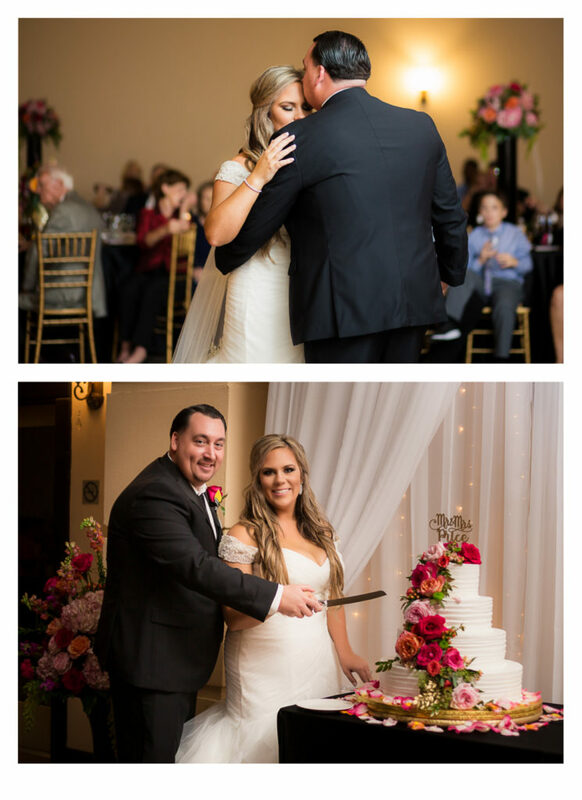 As a wedding photographer, I feel so lucky that I get access to these SWEET SWEET moments on wedding day. After the blessing and dinner and visiting, Amber‘s Matron of Honor and sister, father, and Jerry‘s best man gave toasts. They were all so heartfelt. Amber‘s Father’s toast was my favorite as he remembered back to when he first held Amber as a baby in the hospital. Amber was his first born daughter. He said that when she was born he prayed that she would be like her Mother. He said as she got older, he prayed again that she would be a little bit more like him. Then, finally he said that as she got even a little older, he realized that he needed to pray for her “to be more like you, Lord.” And he said that all of his prayers were answered, and he just was given the most beautiful, kindest, and faithul daughter that could also use any power tool in the garage. Sounds like Jerry has a keeper! As you can see, this wedding was just perfect. 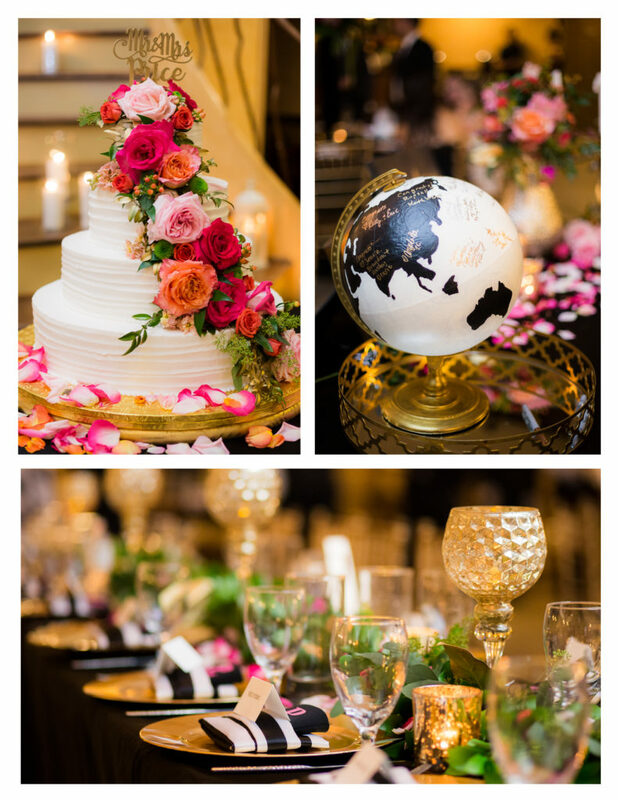 The Bride’s Mom worked so hard on this wedding, and I think all of her hard work paid off. 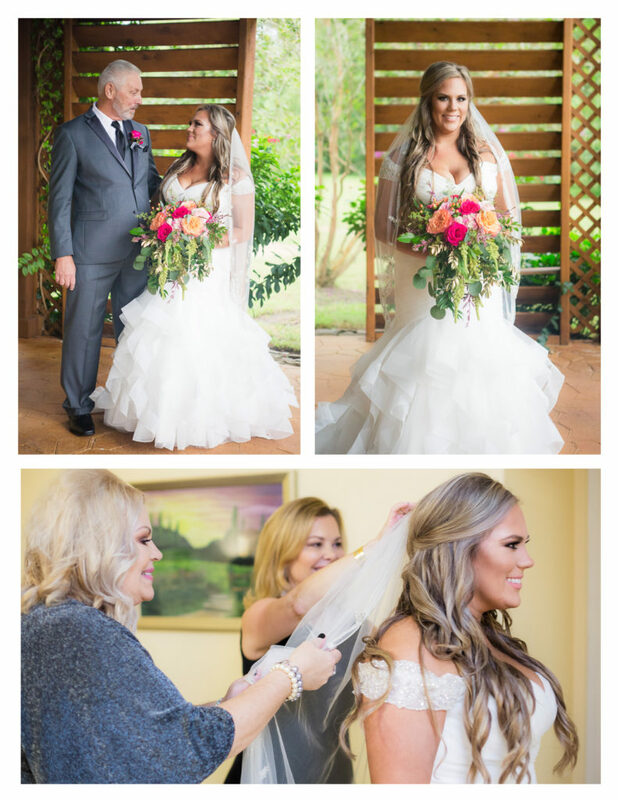 She really helped Amber‘s vision for her and Jerry‘s special day come to life. Jerry is the third police officer’s wedding I have photographed in the past year. One of my favorite parts was at the end of the night, when all those police officers were getting down to some classic Houston chopped and screwed hits. It was awesome. I did not expect Jerry to be such a good dancer! A lot of Groom’s would rather be at the bar than the dance floor! AND Amber and Jerry had a Donut wall with THE BEST, Shipley’s donuts. 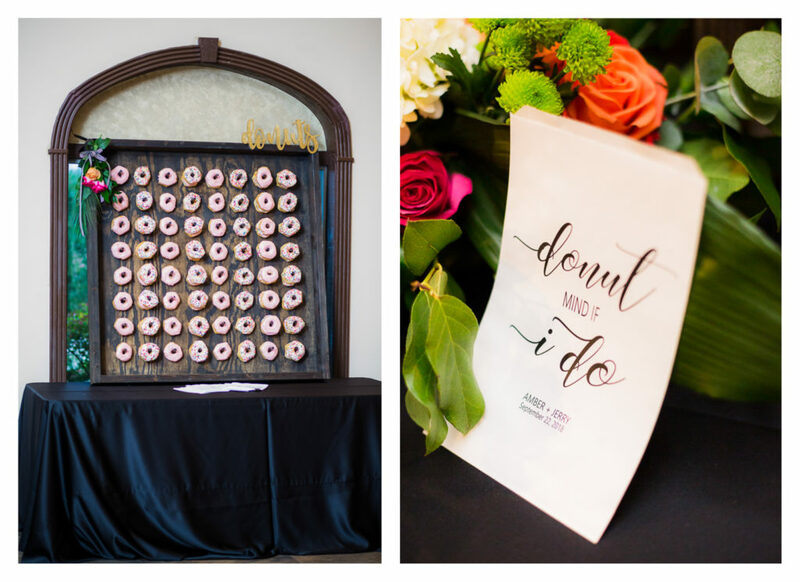 A Donut Wall is always a hit at a police officer’s wedding (or any wedding). I love how the officers really lean into that Donut eating joke. 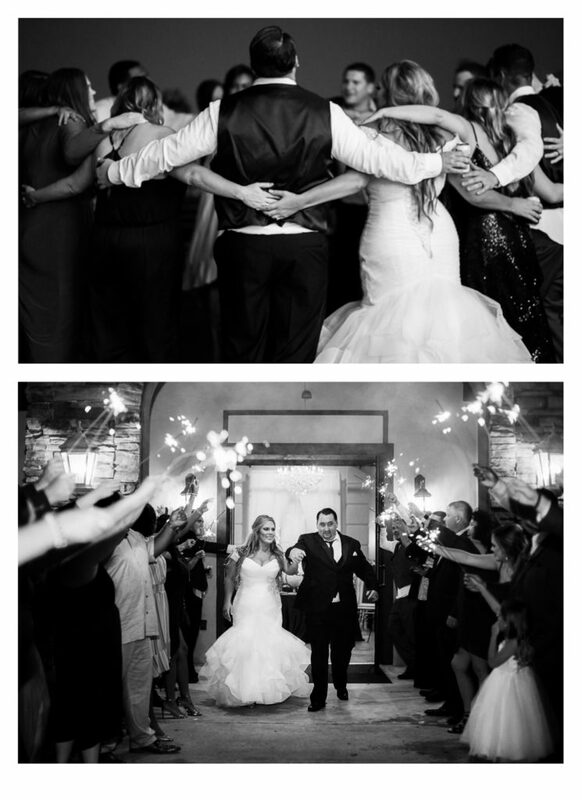 The couple had a fairy tale ending with a sparkler exit and lived happily ever after.